MAH CET 2019 Result has been declared on 31st March 2019. Maharashtra Common Entrance test is a state level entrance examination. 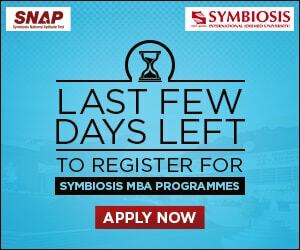 Through this examination, candidates can get the admission into MBA and MMS. 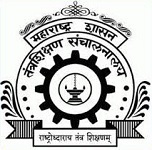 It is organized by the Directorate of Technical Education, Maharashtra. It is also known as Maharashtra CET and MAH MBA CET. After qualifying the examination, candidates can get admission in various institutions and colleges of the state. Through this article, candidates can get the details MAH CET Result 2019 including how to check result, result date, and other necessary instructions. MAH CET 2019 Result has been declared on 31st March 2019. Click here to check result. MAH CET result 2019 contains the marks secured by the candidate in the written examination. Candidates are offered the admission on the basis of the result. Candidates those given the entrance examination can download the result by entering the details such as registration number and date of birth. In case of any incorrect details on the provisional results, candidates can correct it by reporting to the ARC authority along with the photocopy of application form. Candidates can check their MAH CET 2019 results from 31st March 2019. Candidates for downloading the result have to access the website. Results can only be downloaded from the online mode. It is suggested to verify every detail printed on the admit card are correct and liable. The MAH CET result will included with test roll number, test date, date of birth, overall percentile and total marks obtained. Click on that link and open it in new window. 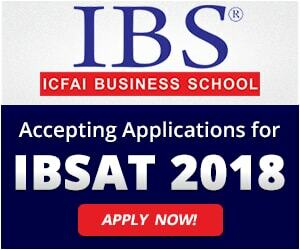 On the home page of official website, click on MBA/MMS Result 2019. The result will appear on the computer screen in the PDF format. Check all the details and click on print button. Download it and keep the hard copy of it for further counselling process. MAH CET 2019 Merit List will be released by the competent authority in the month of April after declaration of result. In the merit list candidates can check their overall rank and category rank. After the completion of counselling, the final merit list for the selected candidates will be prepared. The final merit list will be declared in the last week of June 2019. The cut-off will also release with the releasing of the result. The Centralized Admission Process (CAP) will be organized by the competent authority for offering seats in the state of Maharashtra. For taking part in counselling, candidates have to fill the admission form to register for admission. The counselling process will be held on the basis of merit prepared after the entrance examination. No individual allotment letter will be sent to the shortlisted candidates. The counselling will be conducted in three rounds. If candidates have any query about MAH CET 2019 result, you can leave your query in the comment box given below. Link to download result is given in the article. In case of failure of download, contact officials. I have given mcet 2019 and was hoping 160 marks. But my name and marks obtained are not displyaing in the result list. Pl convey me the reasons. I had given mcet 2019 at Mumbai center and aspecting 160 marks but name and result are not displaying in the result sheet. I want to know, the reasons. How to download the scorecard? how to find result ????? When answer key will display?